Sometimes a book lands on our review pile and it is the absolute perfect book… the book that vanishes into our home and I can never find it, because someone is reading it somewhere or has it stashed away in their backpack for next week’s beach cleanup. 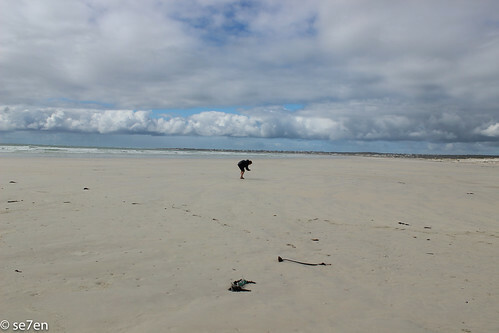 Beachcombing in South Africa is such a book. 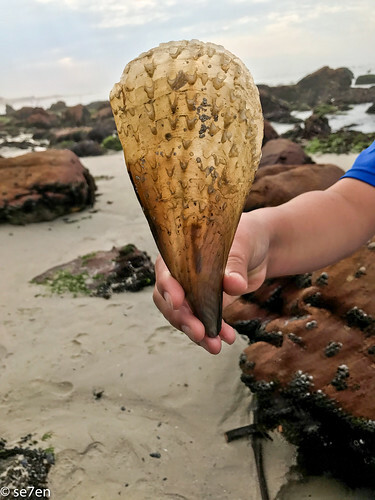 By definition, Beachcombing is combing the beach for treasures, natural or otherwise… It is the kind of activity that you can do whatever the weather, whenever you are at the seashore. Most of our best beachcombing events are part of a beach cleanup, because it turns out that there is no longer a pristine beach anywhere. The thing is that while we clean beaches, and a lot of them… it has opened up a whole world of sea-life to us. 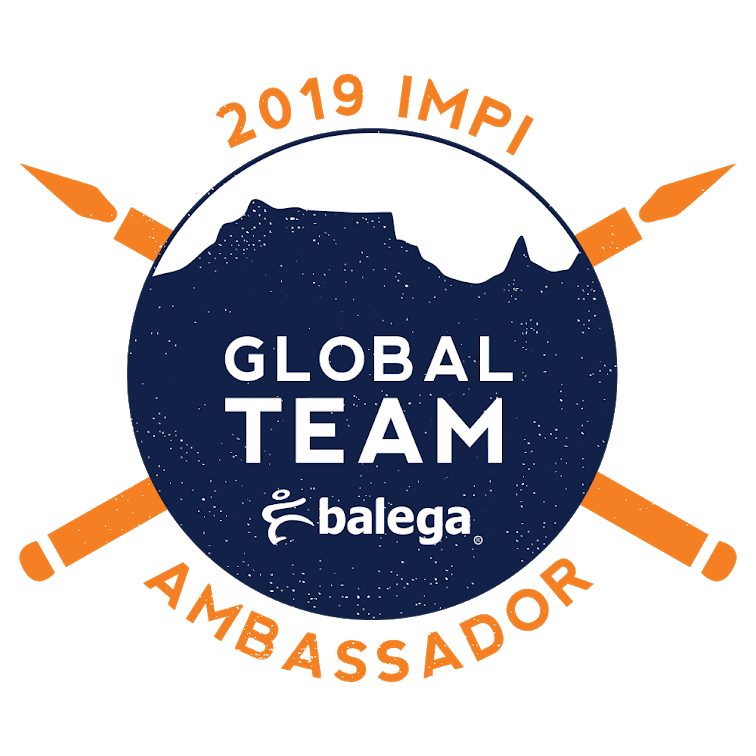 What began as a journey to collect bags of garbage and clear beaches as fast as we possibly could, has become a beachcombing passion. The wonder of the ocean has completely placed our garbage collecting into perspective, we have become avid treasure hunters… litter might still go into the bags, but the wonder and beauty of the ocean that surrounds us has become the focus. This book is the perfect handbook for us, providing, in an easy to understand way, answers to questions about our little discoveries. This book is genuinely lovely and would make the perfect give for any nature loving beach goer. 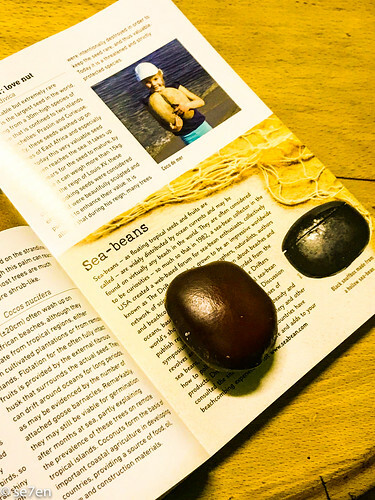 Essentially it is a handbook, that you can toss in your backpack when you head down to the beach… it has short and very readable chapters on anything and everything that you might encounter on a beach walk… from seed pods to sponges, worms to wild life, shells of all sorts of varieties, birds and their eggs, as well as fishes. The chapters are sorted according to animal families, which makes it easy to access them when you discover something along the shore. Not only living things are described, but also other treasures, like driftwood and sea glass, as well as fishing paraphernalia. 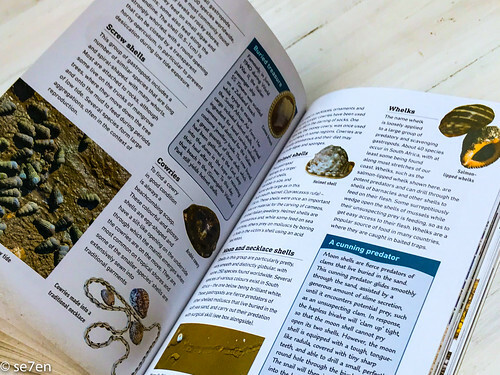 Also the book is packed with full colour photographs, so when you do discover something unusual, you can quickly page through the book to the relevant chapter and find a photograph of your discovery. 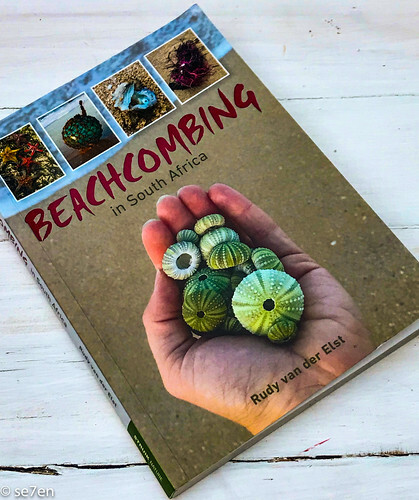 The book begins with a quick introduction to the South African shoreline, and currents and beach types… what to expect when beach combing and plenty of tips on where and how to get the most out of your beachcombing experience. Not only are there photographs of almost every discovery, but each discovery is described in detail… scattered amongst the descriptions are information blocks… snippets of fascinating facts about specific places or treasures, and websites where you can learn more; or how to create with your finds, like seaweed or seashell art; and historical snippets about places and activities along our shores. 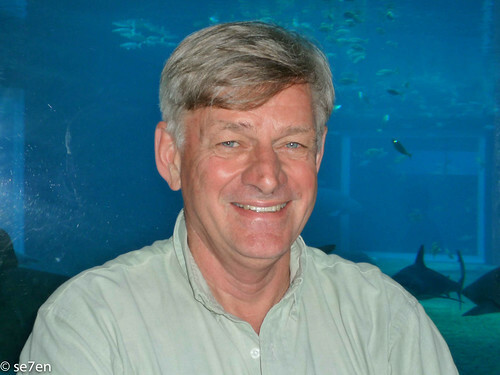 I have been a marine biologist for 40+years, based at the Oceanographic Research Institute in Durban, the last ten years as its director. Aside from conducting fisheries research and guiding students, I have published a number of books, including the popular Guide to Common Sea Fishes of Southern Africa. 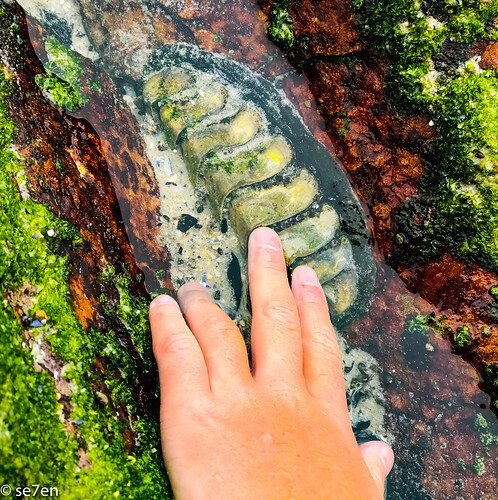 How long have you been beachcombing? As a child I was treated to family vacations on the coast – and my career invariably gave me access to the beach as well. So I have had a lifetime of beachcombing. 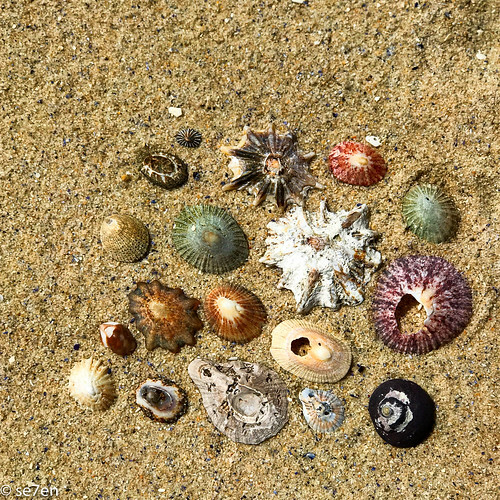 Do you have a favourite beach for beachcombing? Through my work I have been very privileged to gain access to fantastic, remote beaches. 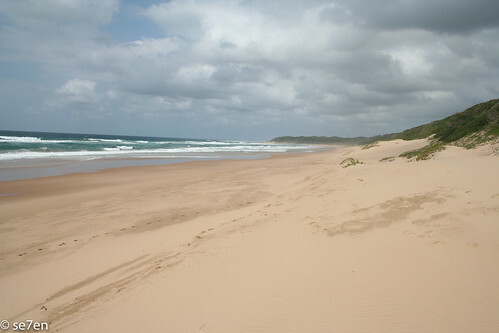 Each beach has its own attributes, but two of my top beaches are those in the iSimangaliso Wetland Park and the spectacular wide beach known as the ‘Plaat’ in Struisbaai (in the photograph above). What has been your most surprising find as a beachcomber? On the beach in 1987, just south of Kosi bay, I spotted a chunk of metal above the high tide mark. It looked out of place and my suspicions were confirmed – it was the only piece of fuselage from the crashed SAA Boeing 707 ‘Helderberg’ that made it back to South Africa. I was able to draw some useful conclusions by analysing the goose barnacles that had grown on the light-weight floating structure. 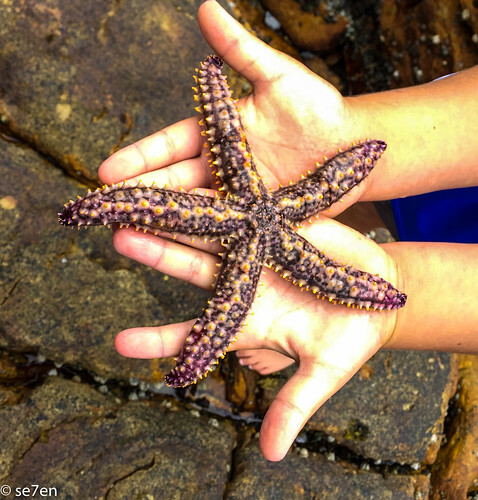 What one thing have you never found that is on your beachcombing bucket list? No doubt! A genuine message in a bottle! How have beaches and beachcombing changed since you started beachcombing? Some good and some not. I have noticed a great reduction in oil contaminated beaches. No longer does the family have to clean their feet with paraffin after a beach outing. It does appear that some species have become scarce- for example sea pansies. The increase in plastic litter is very obvious, while the apparent abundance of volcanic ash [pumice]may indicate greater sub-marine volcanic activity. Unfortunately, some of our beaches are eroding, mostly attributable to the excessive mining of sand in upstream rivers. Climate change is likely to accentuate this problem. Do you keep track of your finds, in a notebook, with photographs, in a collection? 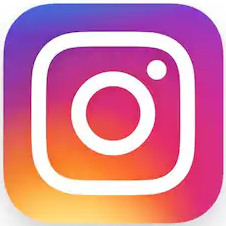 Or do you just enjoy the moment? Taking photographs is part of the enjoyment. I do have a collection of notebooks dating back to 1972 in which I described my scientific observations during my research trips. How would you like to see our beaches protected for future generations? In fact, we have arguably the finest legislation in the world to protect our shores, with the Coastal Management Act. However, problems arise when smaller coastal municipalities lack the capacity or funds to implement the Act effectively. 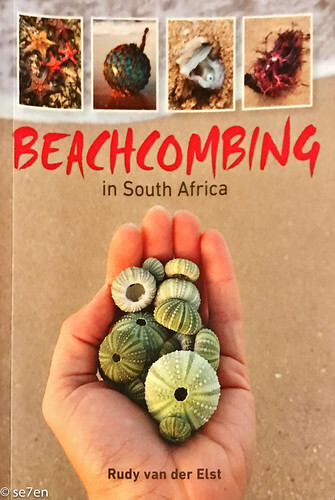 Beachcombing in South Africa is available from Penguin Random House South Africa and Struik Nature and if you click on the image below, for our overseas followers, it is available on Amazon as well. We were given this book for review purposes by Penguin Random House South Africa and Struik Nature. 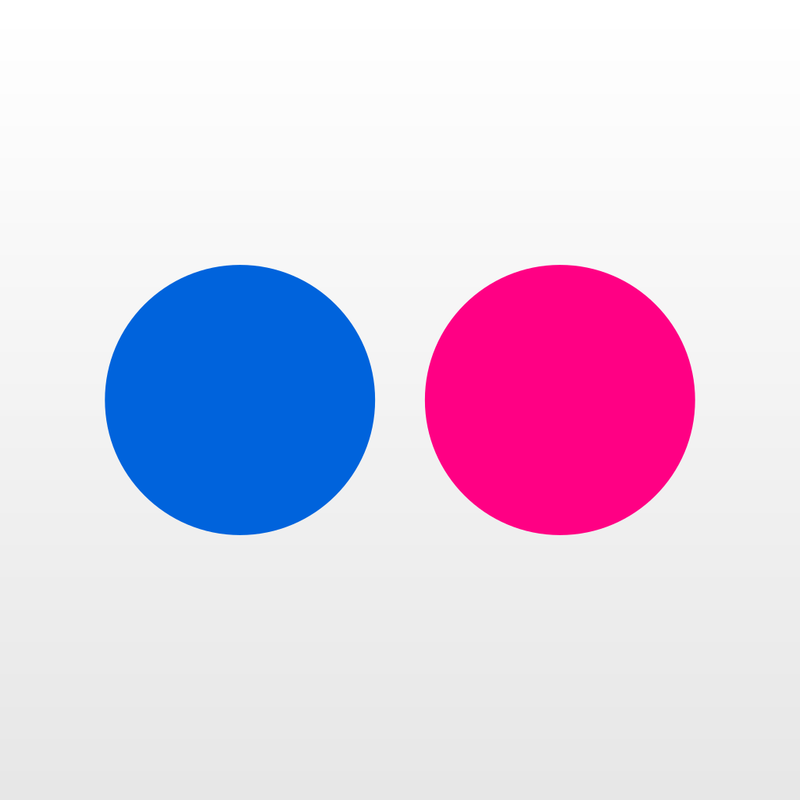 This is not a sponsored post and opinions expressed are entirely our own.